BunnyTale is an anime TV series about survivor's guilt within the magical girl occupation. Each episode of this anime follows the journey of a different magical girl who gives up her life as a magical girl: who she was, why she does it, how she comes to that conclusion, and who she becomes after walking away from her destiny. To do so, at some point, every girl in the show ends up at the BunnyTale Cafe for her own reasons to walk away from this life and resume her regular civilian life. To the regular civilian, the BunnyTale Cafe is just a normal hostess club, serving tea, cake, and attentive conversation in a calm and charming nightlife setting. Hostess clubs are a common feature in East Asian nightlife where female staff are paid to cater to men seeking the platonic but attentive company they lack from the opposite gender, given their exhausting and busy lives (the reverse concept, called host clubs, exists as well). However, in the upstairs area, the staff of the BunnyTale Cafe provides a different kind of comforting and personally fulfilling service to a very different kind of client. Barred off by an enchanted rope, a staircase leads to the upper loft where magical girls can speak to a hostess about their dissatisfaction regarding the life and fate that has been thrust upon them. Akemi, Toru, and Miu are employees at the BunnyTale Cafe. 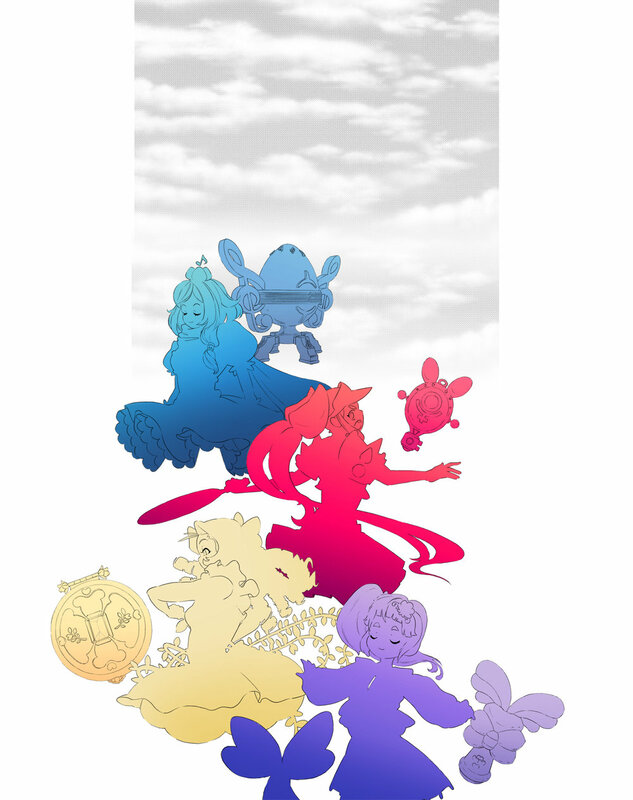 Together, they also function as a magical girl team of their own. Under the permission and management of Noriko, the 37 year old owner of the hostess club, these girls are allowed to perform their magic in the upstairs quarters of the BunnyTale Cafe in exchange for working night shifts in the cafe. These girls represent a new generation of magical girls, not so much gifted with abilities which revolve around motifs and lead by a self proclaimed leader clad in pink but still powered by hopes and dreams. Dressed in protective uniforms made partially out of warding charms, each BunnyTale staff member has their own unique set of abilities geared towards exorcising the magical powers of other magical girls so that these girls may return to their normal every day lives. They do so by fighting the magical souls of each girl, leaping into the vibrant, sugary, blooming dimensions in which their clients transform to cut the ties between civilians and their magical selves. Noriko is also secretly an ex-magical girl who never gave up her powers. She likes the color pink. These pieces take place in a universe where magical girls are inevitably enlisted by fate, as to be mimetic of work which predates Madoka Magica. However, the work specifically zooms in on a café run by the main magical team featured in this hypothetical anime. The café continues to stand by the conventional agenda of the priorly mentioned home base trope, while considering the additional lessons learned from Madoka Magica: that perhaps the best thing a magical girl can be to the world and to herself is not a magical girl at all. As a maieutic visual essay, the narrative strung throughout these pieces perpetuates the Socratic debate within the magical girl subgenre about the widely overlooked emotional burden that comes with being a magical girl. Therefore, this universe allows for the concept of a variety of magical girls who exist around the world all at once and the function of a more discrete area of this home base café operates as a space which helps magical girls be the best version of themselves. This sometimes means not being a magical girl at all and relieving themselves of their duties and leave their magical identities behind. In rewriting the blissful concept of magical girls as nothing but a fairytale, this space comes with an understanding that being a magical girl means watching your closest friends get hurt and potentially die. It means leaving your family and everyone you care about behind so they can forget you while you protect them from afar. All of your aspirations and efforts tied to reality are deleted for a single cause that no one else ever sees. It is understandable that this role would not be for everyone. The Bubblegum Rose stool is inspired by the sensation of chewing bubblegum and the feeling of smelling rosewater. The stool is made by pulling a pattern made of lycra laminated neoprene, over an additional layer of pink lycra, over a wooden spiky interior. Inside the wooden interior sits 9 inches of memory foam. The variety in fabric gives a variety in elasticity. Coupled with the memory foam, the sensation of sitting mimics the way one feels a gradation in pressure as one bites and chews on bubblegum. BunnyTale Cafe's Decommissioning Coffee Tables are made of white oak and finished with a warm danish oil stain. The decorations on the base are 3D printed bronze pieces inspired by the architectural details seen on Asian temples. That is how this narrative was written. In its preliminary stages, material choices and the presence of these objects therefor play a big roll in informing the way this world feels around characters and how they will navigate around it. 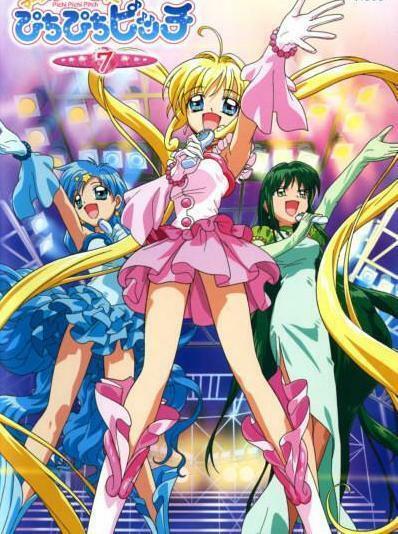 Episode 1: Hana is a 25 year old mother and magical girl from a team which fights with musically themed abilities. Had she acquired her abilities at any earlier time, this life would be a blessing but now it is a curse. With her newborn as her priority, Hana’s ability to modify and hop time by “changing time signatures” and casting musical glyphs is often applied more to re-living the same day over and over again so that she can give her daughter the perfect upbringing instead of fighting the forces of evil. Her new powers only drive her mad and make her a terrible and impatient mother. Episode 2: Isamu is a 17 year old girl who once trained to play in the women's doubles tennis tournament at the upcoming Olympic Games, but now plays it in space as a magical girl. She and her doubles partner were fated to meet and fight invading aliens together since birth, but her partner got eaten by a black hole last week. Episode 3: Midori is a wealthy 15 year old turned magical girl. She finds all forms of fighting unrefined and tacky, even though her plant and princess themed attire and attacks couldn’t be more regal. Fighting monsters is simply unlady-like is a distraction from her greater goals of being a famous CEO. Episode 4: Shinju is facing a lot of anxieties regarding her first week in kindergarten. To make matters worse, in the same week, she discovers that her destiny has been intertwined with the fate of being a part of mermaid themed magical girl team which fights the evils which lurk underwater. With an intense phobia of water and fish, she is essentially a failed Batman tale. 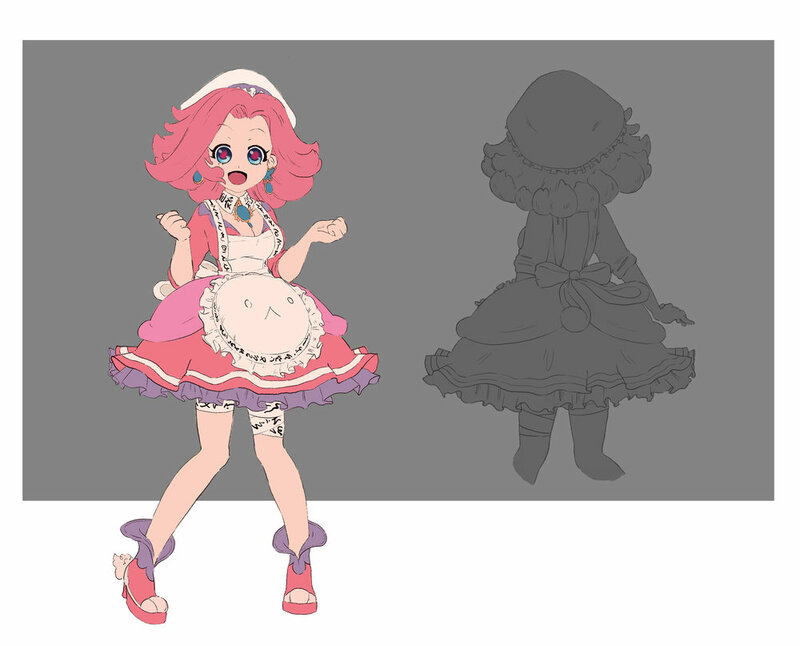 In the style of this project, each of these girls were designed after their transformation trinkets were designed. Thus, their designs are inspired by their trinkets; ie: Hana's design is inspired by the sturdy base of her transformation trinket, in addition to the themes implied by it. Given this base and form, her design, personality/narrative, and stature and inspired by midieval paladins . 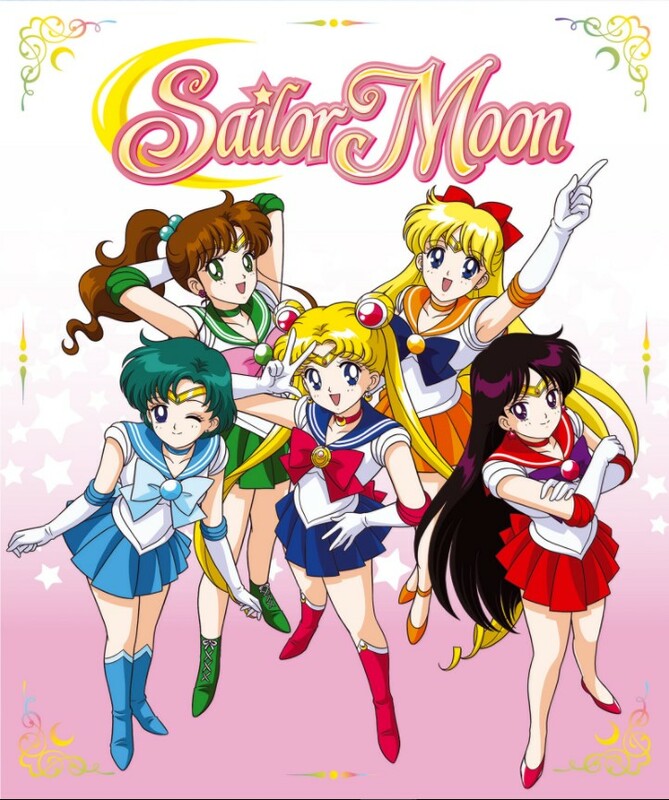 Sailor Moon is a highly acclaimed staple of the magical girl subgenre. Because of its significance within the genre, it touches the hearts of not only its younger female target audience, but it also grows with and touches its older audiences. As a result, there is a strong demand from collectors and cosplayers to have accurate and quality replicas of significant objects seen in the show, not just toys that have been pared down to suit the treatment and needs of the adolescent market. To some degree, the franchise has answered to this by producing purchasable "prop replicas" of their own. These prop replicas are truer to color and concept in addition to being of higher quality. However, they are still plastic and toy-like. There are many merchandise-driven TV franchises that have a similar demand but have either taken a similar approach or simply have not addressed it yet. Magical girl shows, in particular, are notorious for having fans of all ages. Thus, BunnyTale anticipates this demand by designing it into its plot and universe rules. The plot of this narrative is born from the main marketing system of it's product line. Hana's Magical Transformation Trinket is an example of what a regular toy from this franchise might look like: colorful, and true to its animated/illustrated "origin," but plastic. In other words, keeping to the standard of pre-existing franchises that create similar products such as the previously mentioned merchandise driven animes and even male targeted franchises like Power Rangers and Transformers. However, what is unique to this plan is that the designs would be compatible with both the mold making or 3D printing restraints of both plastic/resin and metal. When a magical girl deactivates her magical transformation trinket upon the Decommissioning Table, it loses not only its powers but also hardens into a heavy, cold, colorless form of itself. That is to say, it becomes a solid chunk of metal. 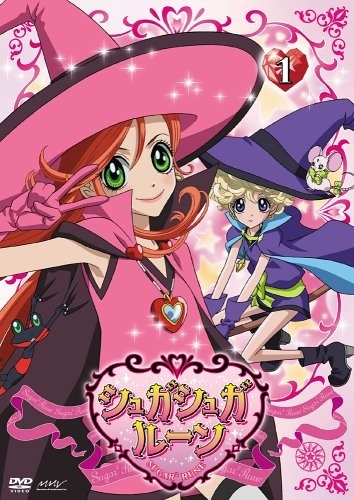 For example: Midori's Decommissioned Magical Transformation Trinket is an example of the secondary genre of products that this franchise has to offer. On one hand we have a product that matches the expectations and standards of the market. But on the other hand, using the exact same mold and/or file we have a luxury product designed to be an exact replica, functionally, physically, and conceptually, of its likeness as seen on TV. With every new episode, the cycle continues, as shown above: Each new episode presents the tale of a new girl trying to get rid of her abilities. Therefore, each episode provides a new opportunity to connect with a different kind of viewer through a new character, while also providing at least two new profiting opportunities. Hana and Midori's trinkets both originate from 3D printed Strong and Flexible plastic. Hana's is simply printed then sanded to 1200 grit and airbrushed with model paints, akin to those used for Gundam models. Midori's prints are wax casted in white bronze then assembled to lock a Swarovski crystal between its parts. BunnyTale is a project based in the fantasy anime subgenre of mahou shoujo, otherwise known as the "magical girl" subgenre. The subgenre is founded on narratives of young girls gifted with magical abilities and fantastic destinies. Whether fighting solo or in teams, these girls are usually assigned to use these newly awakened powers for good, often fighting forces of evil once transformed into superhuman forms which enable extraordinary strength, speed, abilities, and most importantly a tenacious sense of hope and will. Particularly in anime where these girls fight in teams, they represent beacons of hope and love within a society's survival and well being. They do so by using magical transformation trinkets, which may take the forms of brooches, pens, necklaces, cellphones, makeup compacts, etc. to transform from regular civilian girls into magical and vibrant fantasy versions of themselves. As an anime, the narrative of BunnyTale takes a great deal of influence from the 2011 anime Puella Magi Madoka Magica. Commonly referred to as simply Madoka Magica, the TV series is a significant addition to the genre as it is a deconstruction of everything it attempts to represent. Where nearly every anime within this subgenre represents the role and destiny of a magical girl as a highly rewarding lifestyle filled with empowerment, friendship, and personal fulfillment, Madoka Magica exposes the reality of what it means to be a magical girl: a thankless job full of physical, psychological, and emotional agony where a positive and happy disposition is crucial to survival and success. Following in the footsteps of Madoka Magica, BunnyTale comes with the understanding that every addition to a genre expands the boundaries of what define it and further clarifies what already exists. Thus, BunnyTale expands on Madoka Magica's narrative intentions to explain the realities of being a magical girl, particularly through tropes untouched by its predecessor. As a project, BunnyTale attempts to create a framework and design process which creates a more symbiotic relationship between visual development/narrative construction and product design in the context of merchandise-driven media. Often the product is the afterthought of the show to further profit from pre-existing media, other times the cartoon is the afterthought, serving as a 11-22 minute long toy commercial. In a context where the outcome of consumable products is inevitable, regardless of its priority or order of creation, BunnyTale is a project which emphasizes an "ashes to ashes" philosophy about products within a merchandise-driven media context. Product design conscious fabrication is thus a central part of visual development here, where visual development has typically been dependent and centered around means of intangible illustration. By grounding the context of a narrative in objects and forms that hold proof that they can be fabricated and manufactured, the aesthetic of the show becomes influenced by the rules of manufacturing and therefore take advantage of the opportunities available in manufacturing as opposed to working against the grain once you get there. That is to say that before any illustration work is done to create a show, key aspects of its world are physically fabricated to give a sense of aesthetic goals and boundaries which translate well to being manufacture friendly and even cosplay friendly concepts.